Your mom is certainly worth a million, but that doesn’t mean you need to go broke when buying Mother’s Day gifts. After all, she taught you how to be budget savvy, right? Make her proud when you shop frugally this Mother’s Day and find her thoughtful and fun gifts for less. Here are some Mother’s Day gift ideas you can find at for a good price to get you started. 1. Manicure supplies. Grab a mason jar and fill it with nail polish, foot scrubbers, mini lotions, a file, and other manicure supplies. They all fit nicely inside of the mason jars that Dollar Tree sells making the perfect manicure to go. 2. A Gardening basket. Snag a basket at Dollar Tree for just a buck and fill it with bulbs, seed packets, garden gloves, garden stones, and other gardening supplies. Mom will love having everything she needs for a greener yard right at her fingertips. 3. A cooking basket. Grab a large basket or mixing bowl and add measuring cups, spices, sprinkles, baking mixes, and other kitchen utensils. Mom will love having them on hand when she cooks up a storm. 4. A balloon bouquet. For just a buck each, you can craft a colorful balloon bouquet certain to make mom smile. Choose from the floral designs and the other pastel colors available. Don’t forget to add the balloon weight! 5. A crafting basket. Does Mom like to get crafty? 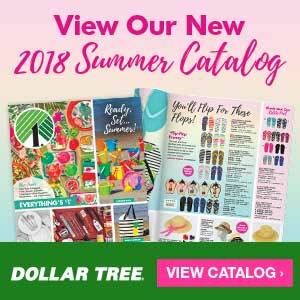 Put together a basket of glue sticks, pom poms, wood craft sticks, stickers, and the many other crafting items that Dollar Tree has available. She will love getting creative thanks to you. 6. A framed family photo. Dollar Tree sells a huge selection of photo frames. Choose one to frame a special family photo or memory you want to share with her. It is a simple gesture that is sure to mean a lot. 7. A book basket. Give Mom a basket of assorted books, crossword puzzles, bookmarks, reading lights, pens, and stationery. If she loves to read, she is sure to love all of these items! As you can see, Dollar Tree is a great place to find Mom some sweet yet sentimental gifts for less. She is sure to appreciate them, as well as the fact that you saved some money. Now, you can afford dinner too! What Mother’s Day gift ideas do you have? Mom is the best, but you don't have to break the bank for Mother's Day! Celebrate with these $1 Mother's Day Gift Ideas. Great ideas and I just realized Mother’s Day is right around the corner! Great ideas. Well my idea is for my mother who loves to be on her computer. Maybe a new mouse, or mouse pad with a great photo on it. Possibly pay for a geek squad visit to keep her up and running well 😉 This is the things my mom would like. She doesn’t do much of the other things posted. She is an internet junky lol. These are great gift ideas for Mother’s day! I love to make pampering baskets and these are great add in gift ideas. My mom always loved small gifts and homemade gifts when I was growing up. Ah! If you didn’t post about this, I would have totally forgot that it’s Mother’s Day! Thank you for this post, and for the gift ideas too! It will prove to be a bit of a challenge since my mom is far away… but still, there are ways! I absolutely love this list. Thank you! Great ideas! My mother in law loves gardening, and the gardening basket will be a great Mother’s Day gift for her. I like the idea of gifts that grow, like plants and herbs. I normally get the basket at a dollar store, and then fill it up from different specialty stores. Last year I got a foodie gift basket from Dollar Tree. It was full of all the fun red Betty Crocker goodies they have in the cooking department. Utensils, mixing bowls, oven mitts and more. It was awesome. Great ideas all around the board – there have been plenty of times that I have created Dollar Store baskets or gift ideas. I think my Mom would like gifts that incorporated framed pictures of her kids and my nephew. A framed family photo is the best idea. My mom loves looking at old photos.